Watch back the action from St Mary's. Manager gives his view on St Mary's stalemate. Saints reluctantly forced to accept a share of the spoils at St Mary's. Manager already looking ahead after Brighton stalemate. 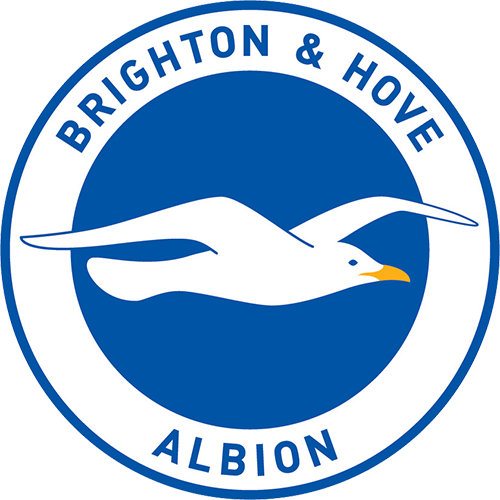 Brighton take a point despite defender's second goal in two games. Tackle our latest pre-match quiz as Saints take on Brighton. Find out what's inside Wednesday's match magazine. Check out our in-depth preview ahead of Wednesday's game. Watch as Saints boss Mauricio Pellegrino previews Brighton clash. All the stats ahead of Saints' meeting with Brighton. Watch Mauricio Pellegrino's pre-Brighton press conference. Ticket details for Saints' home clash with Brighton. Secure a seat for our big home clash. Official Members can secure seats for the Seagulls now. Ticket information for the visit of Brighton to St Mary's. Saints forced to accept share of the spoils. Jack Stephens equalises for Saints with deft flick from four yards. Glenn Murray's successful spot-kick is the difference at the break. Wesley Hoedt trips Solly March and concedes a penalty. Despite dominating throughout, Saints reduced to the single point against Brighton. An earnest performance, that deserved more. A selection of action shots above. But the defender's second-half leveller not enough for all three points, on another frustrating St Mary's night! Saints forced to accept a share of the spoils, after overturning a first-half deficit to level the tie at 1-1. It wasn't the maximum they craved - and perhaps deserved - but another point on the board. Latching on to a lose ball, the midfielder struck the ball cleanly, but without enough purchase to trouble Mat Ryan, who got down low to collect. Ball floated to the back post, where the striker was lurking. He attempted to connect, but McCarthy - with more luck than judgement - claimed before then danger worsened. The pass was intended for Carrillo, incisive enough. The striker latched on to it, but couldn't quite gather the ball, before Ryan smothered the danger. Giving Saints a bit more presence up top. With Gabbiadini for company now, Saints still searching for a winner! We're level via Stephens, but can Saints go one step further and find a winner? Eight minutes remaining! Gabbiadini was underneath it, couldn't jump for the presence of Duffy. Saints pressing, but no real chances with ten minutes to go. Final change as Saints search for a winner! First change for the visitors, as goalscorer Murray departs. Ward-Prowse fires goalward, but Dunk had his arm raised and thwarted the shot illegally. The midfielder takes the resulting free-kick, 20 yards out, which is charged down by a resilient Brighton wall. Hoping to make an immediate impact of his Premier League debut, the striker has had a few bright touches, before firing narrowly over. The home side look livelier second half! Sofiane Boufal had won the original free-kick, in the lead up to the leveller. Ward-Prowse elected to flash the ball low across goal - a wise choice given Duffy/Dunk's aerial dominance - and there was Stephens with an intuitive finish. His second goal in as many games, Stephens restores parity, turning in Ward-Prowse's low driven free-kick. A clever back flick from the defender, and we're level! Charged down characteristically by Shane Duffy, before Boufal is upended. Saints free-kick in a promising area, delivered by Ward-Prowse, and turned in by Stephens! Attempting to make it two in two, the centre-half heads over from close range! Attacked by Carrillo, but with little purchase. Ball returned to the box, where Stephens is free, but can't guide his header. Saints could - perhaps should - be level! Double change at the break! Brighton's early penalty the difference at the break! Saints trail entering the break. Brighton, perhaps fortuitous to still be ahead, have defended well and are dominant aerially. They key to this one will be on the floor! Plenty of endeavour from the home side, but wasteful in and around the opposition area. The visitors continue to lead. Ward-Prowse rolls the corner across the floor to an onrushing Bertrand, who connects well with the shot. Enough for Ryan to look anxious, the ball flew millimetres over. On the turn, Murray squeezes a shot directly at McCarthy. The Saints stopper was equal to it, a comfortable save, and the only threat Brighton have offered since going ahead. Chances have come and gone for Saints, who have dominated possession, but been largely frustrated in the final third. The full-back fizzes another delivery in to the area, no takers for Saints. Højbjerg chases down Ryan, who hesitates, before inadvertently sending his clearance rebounding off the midfielder's back. The ball crashes agonisingly off the crossbar - a let off for the visitors. The hosts' biggest threat, the full-back crafted the opportunity with a solo run down the left, before taking the shot on early. The effort was dipping, but finished marginally over Ryan's goal. Plenty of attacking intent for the home side, if the final ball lacks in accuracy. Bertrand and Cedrić are both advancing well down the wings, with balls aplenty in to the area. Ward-Prowse with another curling delivery from the right, Long attempting to connect. Corner conceded, but cleared by the towering presence of Shane Duffy. Dead ball situation in a promising area for Saints. James Ward-Prowse over the delivery, but Ryan Bertrand is the eventual taker. Well defended by Brighton. James Ward-Prowse delivers in to the area from a corner, Romeu climbs highest, but can't direct his headed effort on target. The midfielder latches on to a loose ball, before smashing his effort way off target. Saints successfully defended a corner in the prelude. Ryan Bertrand, his usual industrious self, makes a pacey run down the left. Tadić feeds him the pass, but the ball cannons off Dunk, and fortuitously out for a goal kick. Southampton's new number nine is available from the bench this evening! Tadić was making his way in to the box, after some neat interchange in front of the Brighton technical area. Saints keeping the ball well, but can't find a penetrative pass. Jose Izquierdo is guilty of squandering an early chance for the visitors. The ball was rolled invitingly in to the path of the winger, who blasted high and wide of the target from 10-yards. We're all set for kick-off here. St Mary's filling up nicely. Score predictions, Saints fans? Starting XI: Ryan (GK), Bong, Dunk (c), Stephens, Gross, Murray, Izquierdo, March, Schlotto, Duffy, Pröpper. Subs: Krul (GK), Baldock, Rosenior, Kayal, Knockaert, Goldson, Ulloa. Mauricio Pellegrino elects to make one change to the side that started against Watford, with James Ward-Prowse replacing Sofiane Boufal in attack. Starting XI: McCarthy (GK), Cédric, Stephens, Hoedt, Long, Davis (c), Tadić, Romeu, Ward-Prowse, Bertrand, Højbjerg. Subs: Forster (GK), Yoshida, Carrillo, Lemina, Boufal, Gabbiadini, Pied. 1️⃣ hour until team news! Who would you have in your Saints starting XI tonight? We'll bring you confirmation of all the team news as soon as it's confirmed at 6:45PM! St Mary's has welcomed the arrival of Southampton's players! Southampton's troops have been in training at Staplewood Campus all week, as they gear up for tonight's significant Premier League clash. Watch the boys in action above! Southampton completed the signing of AS Monaco's Guido Carrillo last Thursday, and the striker could be in line for his first taste of Premier League action against Brighton tonight! There are two important matches this week, but we have to think about the first one. Even if we beat Brighton there will still be plenty to improve on, we have to keep going and keep winning. We caught up with Saints boss Mauricio Pellegrino at Staplewood ahead of today's game. See what the boss had to say in our pre-match interview here. After last weekend's FA Cup triumph over Watford, Saints return to home soil in Premier League action against Brighton and Hove Albion. The visitors are a mere one point ahead in league standings, ensuring that the points on offer during tonight's south coast clash are critical for both sides! Stay with us for all the build-up, team news, live match updates and free audio commentary. Kick-off is 7.45PM.